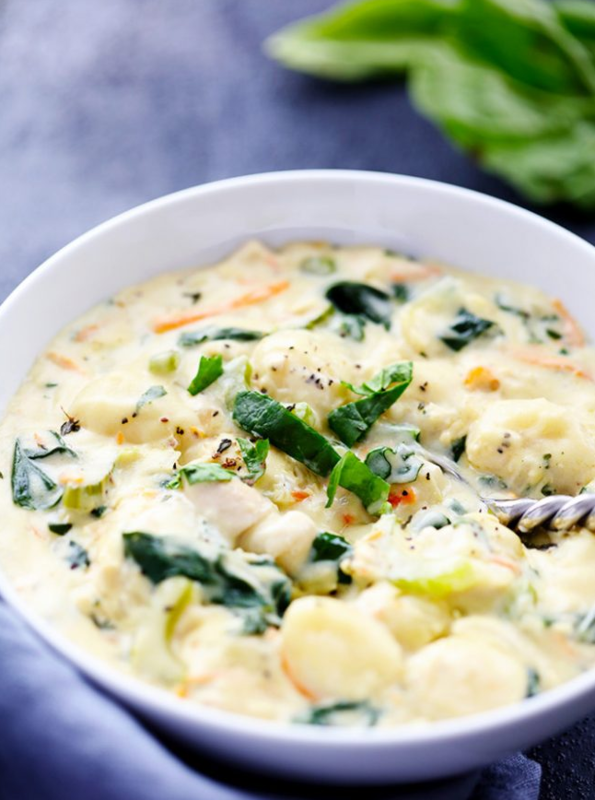 Gnocchi is the ultimate braces-friendly food. Gnocchi are made up of soft, heavenly dumplings made primarily from potatoes. 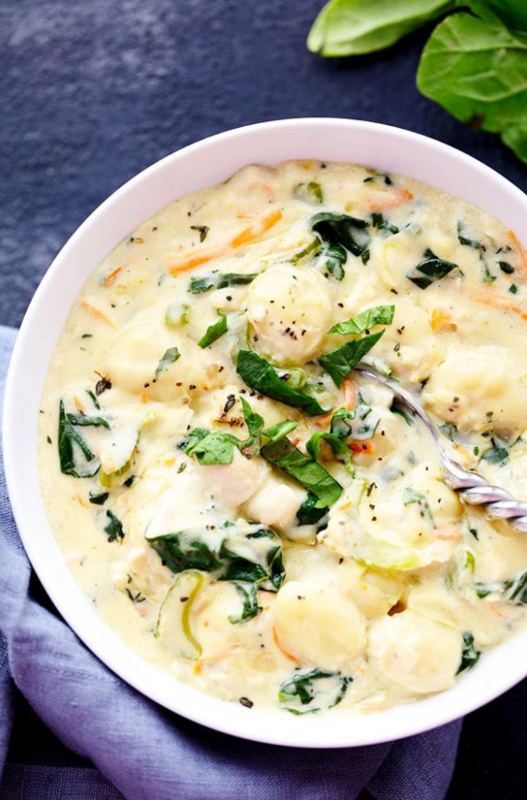 They are so delicious, especially in this Creamy Chicken Soup recipe that will taste like the ultimate cold weather comfort food. Enjoy! In a large pot add butter and olive oil. Over medium high heat sauté onion, celery and garlic until tender. Add the flour to create a roux and cook for another minute. Slowly add the half and half and chicken broth and stir until it starts to thicken.